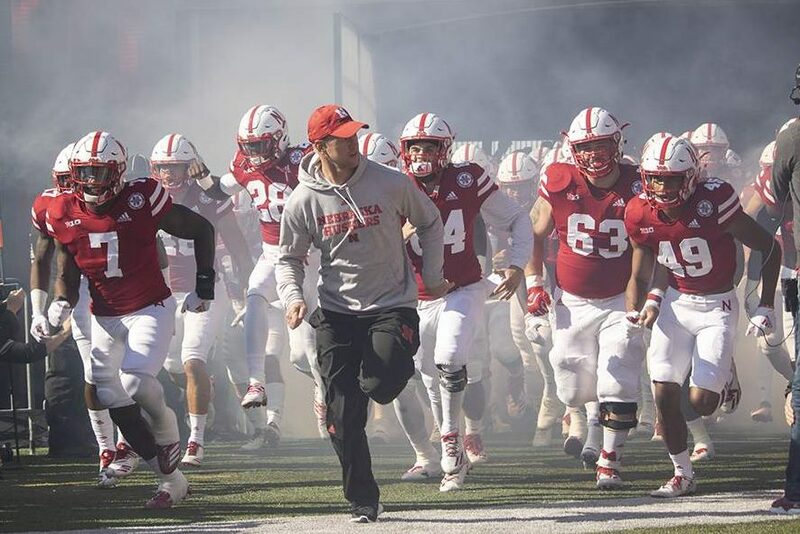 Scott Frost and the Huskers enter the field to face the Minnesota Golden Gophers. 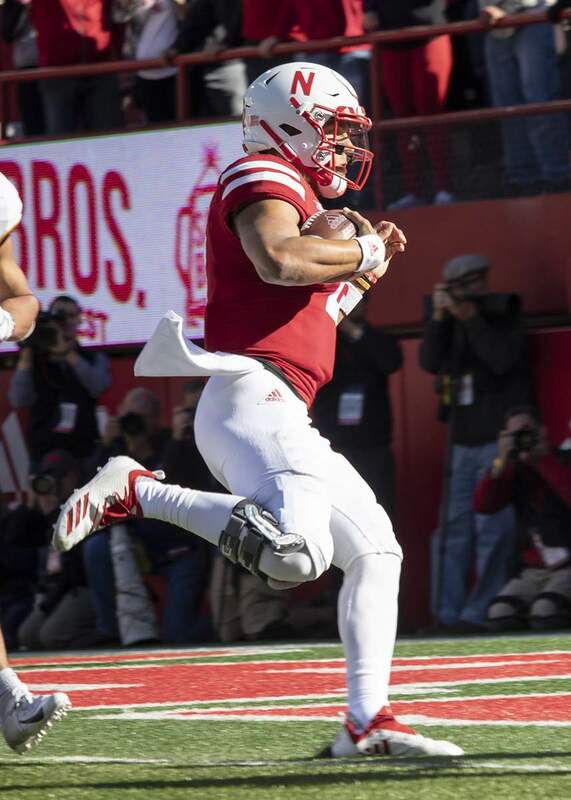 Adrian Martinez finishes a 37-yard run in the third quarter. 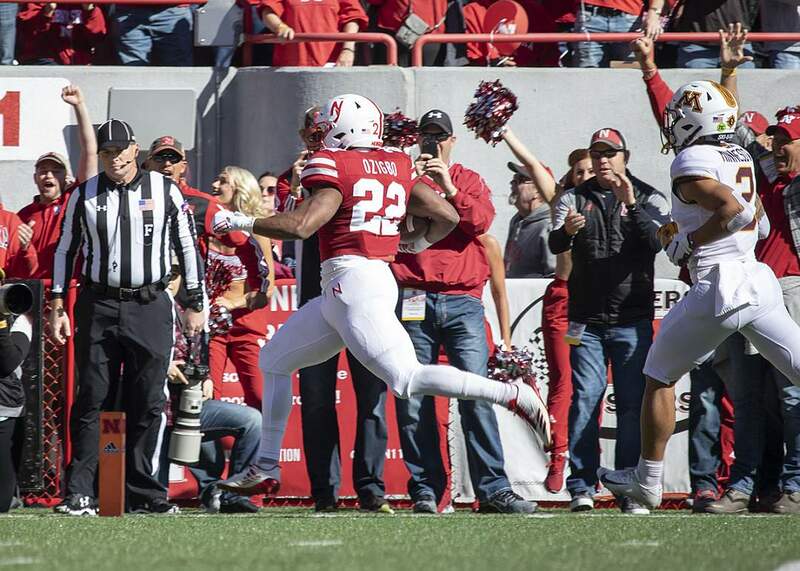 Ozigbo scores on a 40-yard touchdown run on the game’s opening drive. 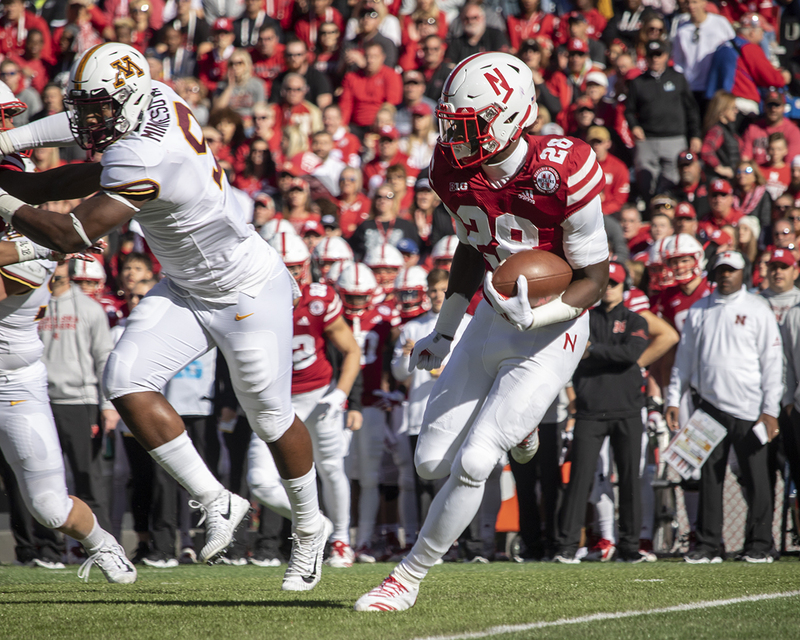 Maurice Washington rushes for a short gain in the first quarter. 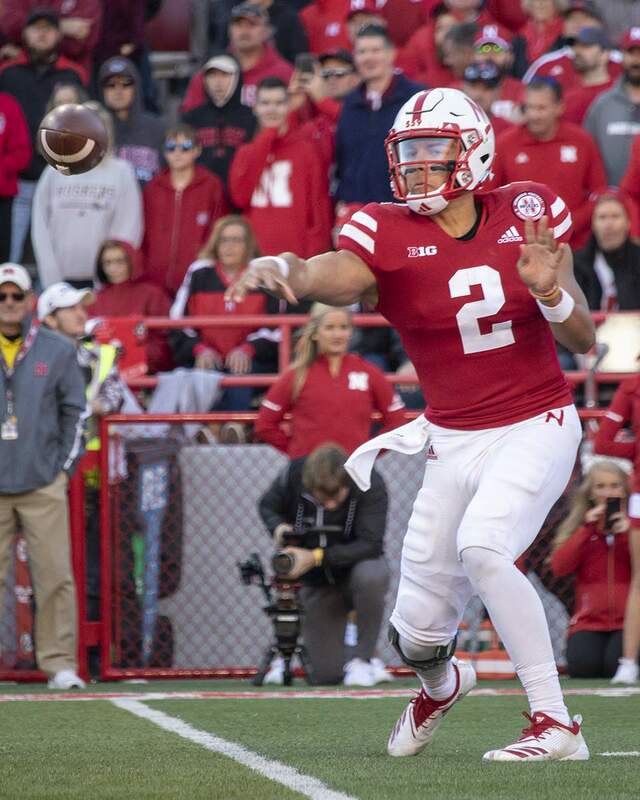 Adrian Martinez looks for an open receiver in the second quarter. 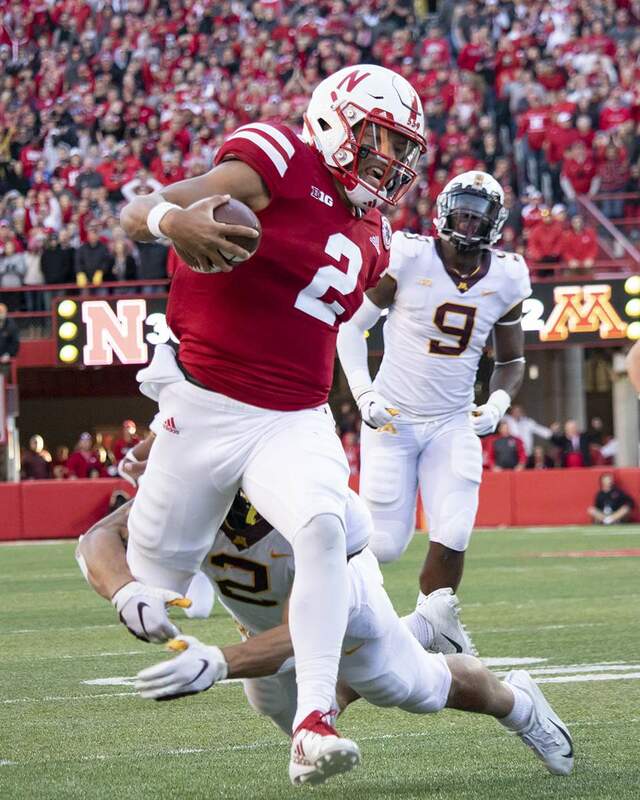 Adrian Martinez rushes for a 3-yard touchdown in the second quarter. 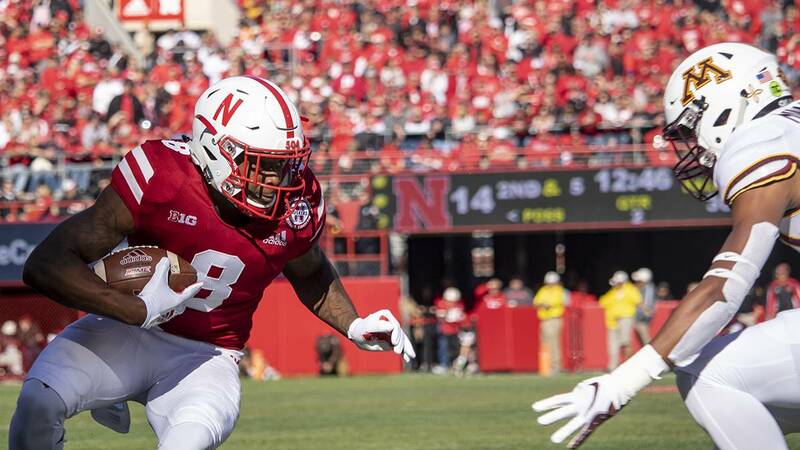 Stanley Morgan Jr. picks up some of his 163 receiving yards against Minnesota. 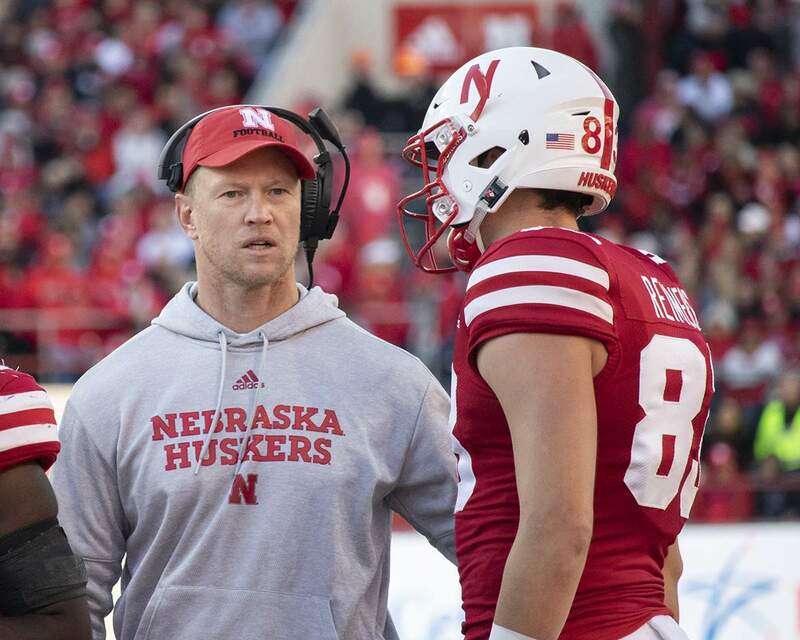 Coach Scott Frost confers with receiver Bryan Reimers. 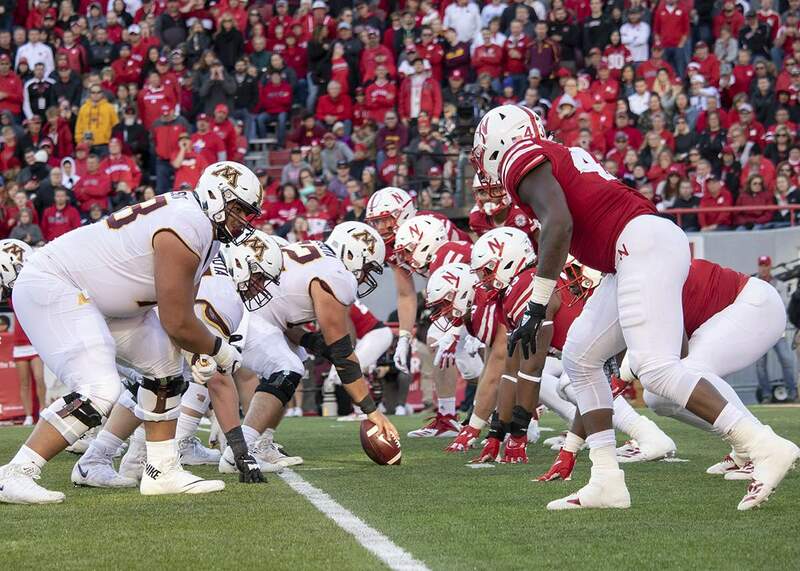 The Minnesota and Nebraska lines face off. 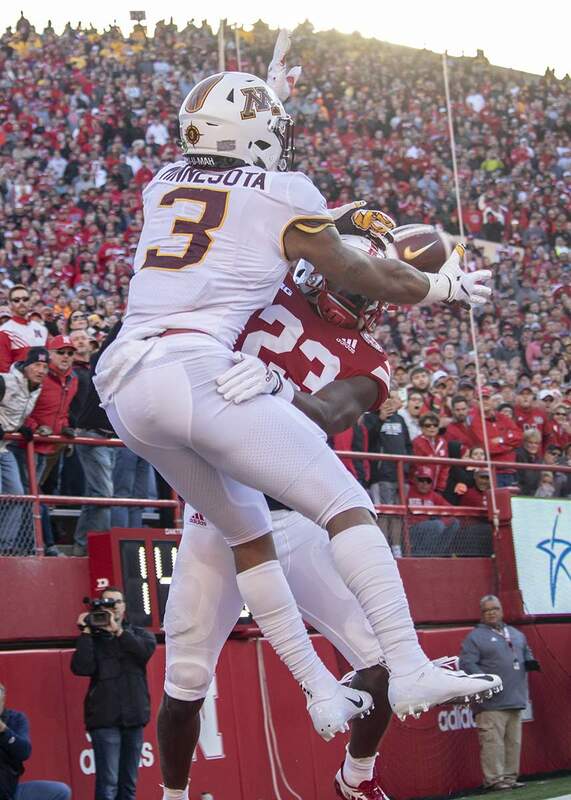 Dicaprio Bootle breaks up a fourth-down pass in the end zone to end a Minnesota threat early in the fourth quarter. 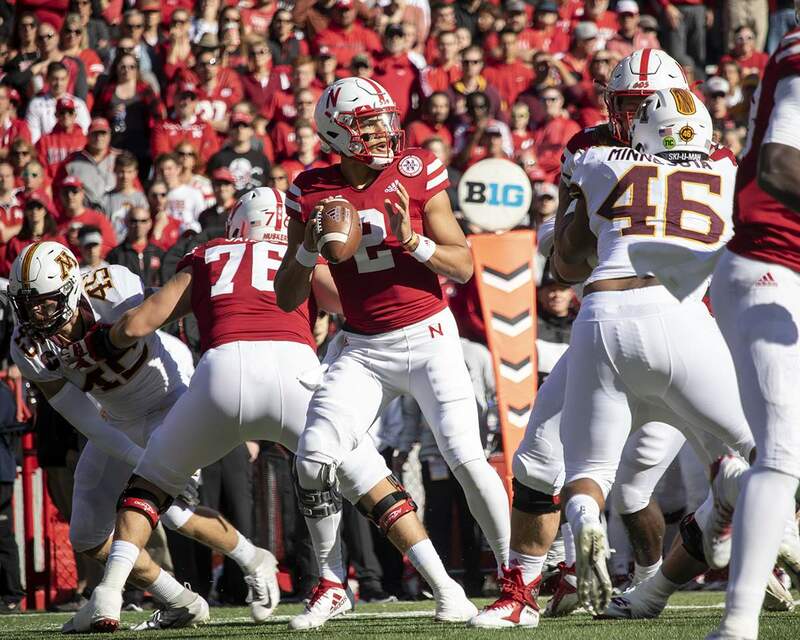 Adrian Martinez gets a pass away against the Gophers. 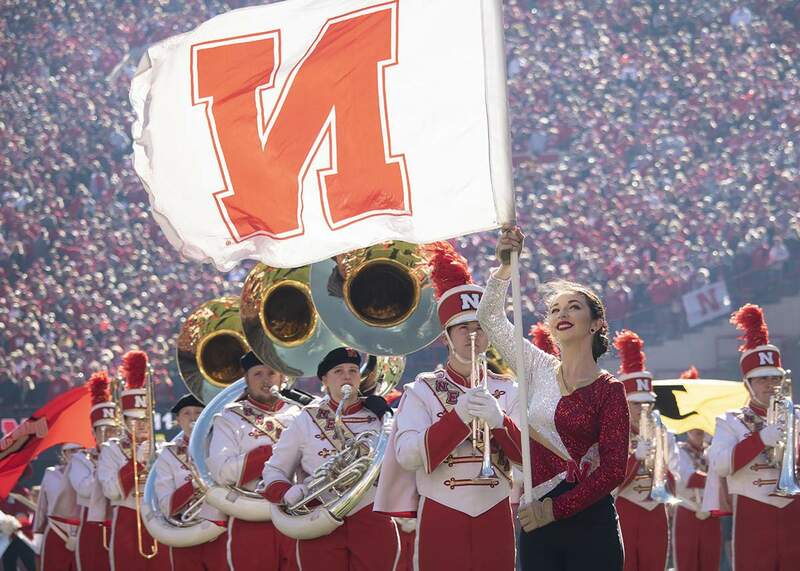 The Cornhusker Marching Band performs.